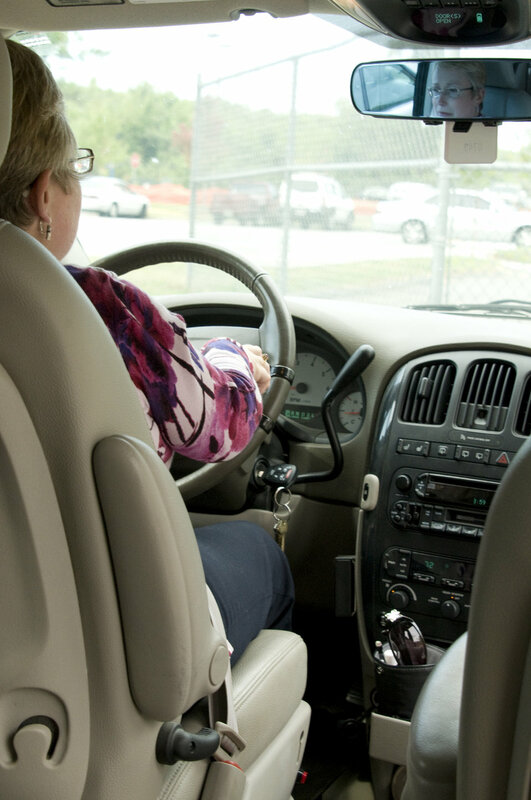 Viewed from the back seat, the woman pictured here, had just boarded her vehicle by way of an access rampwhile seated in her wheelchair, and had maneuvered herself into the driver's-side swivel seat. Due to her disability, the steering wheel was equipped with a hand control, which she held in her right hand, enabling her to operate the accelerator and braking system using her hand rather than her feet. Wild Ornate Frame: Over Drive!